Training the Whistle Recall DVD won a Maxwell in 2009 for Best Training DVD! Coming when called is probably the most important behavior you can teach your dog. It’s about security, freedom, and can even be life-saving! See below for more information! 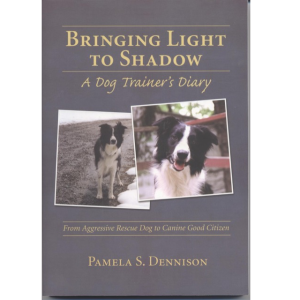 This DVD is outlined for a 5 week program of training your dog to come to a whistle. Coming when called is probably the most important behavior you can teach your dog. It’s about security, freedom, and can even be life-saving! The Training the Whistle Recall DVD came to be years ago when Cody, my Sheltie was going deaf. I was on a beach up in MA at midnight for last potty walk of the night and lost him! I was screaming and screaming and freaking out and no Cody! He couldn’t hear me over the crash of the surf and I couldn’t find him anywhere!…….I finally found him – he wasn’t being “disobedient” – he simply couldn’t hear me. Thus started my program of teaching the whistle recall! You can see the curriculum here, and Certification here. I have been training different types of recalls for thirty years, as both a competitor and a professional trainer. Pam’s Whistle Recall puts all others in the trash! It has been fail proof for not only my own dogs–including a Yorkie–but I have been teaching it to my clients, both in classes and privates. I have yet to have it fail, even with a bull-headed French Bulldog! Do the steps, don’t skip, don’t rush and you will have a dog that comes every time. Last week I watched two training DVDs. The first (not yours) was a real disappointment… so much so that my mind went to “man, that was a dollar a minute for the DVD and maybe a minute of it was useful” … then I watched yours and was over the moon. A great value for the money. And I count that in knowledge imparted. Thanks, Pam! I ordered Pamela Dennison’s Training the Whistle Recall DVD because I am working with a client who has a rehomed lure course whippet. She wants a solid recall and I told her using a whistle would be her best chance. I thought I should go to the source to learn this method. Well, I LOVE this DVD. It’s not lengthy but very clear, concise instructions and Pam presents herself like she is talking to her best friend. The videography is well done, good choice of background music and nice setting. I’ve been practicing this method with my dog, so I’m as clean and clear as Pam was in her presentation, using the whistle is a hoot (pun intended). My clicker trained cat even came out to get in on the fun! Thanks so much for sending this so quickly Pamela. I used your DVD to train our 8 week old working cocker 5 years ago and he has a fantastic recall. He worked for 3.5 years as a search dog and his recall was the envy of the team! Unfortunately I lent the DVD to someone who didn’t give it back, and as we are just about to get a new puppy, I want to do a refresher! Thanks for such a fantastic method which has been it’s weight in gold. * may be shipped in any color combination, depending on availability.